Catholic music artists continue to emerge on the scene. Some have gained status as Catholic music stars like Audrey Assad and Matt Maher. While other lesser known artists strive to become more visible in the Catholic and Christian world. Advent hymnody like O Come Divine Messiah and O Come, O Come Emmanuel, resound throughout our churches leading up to Christmas. In recent months, songs from various Catholic artists struck a chord in my heart and I realized some of them were perfect songs to prepare us for Christmas, even though they were not specific to Advent. Here are four non-traditional, and contemporary songs to prepare your heart for Christmas. 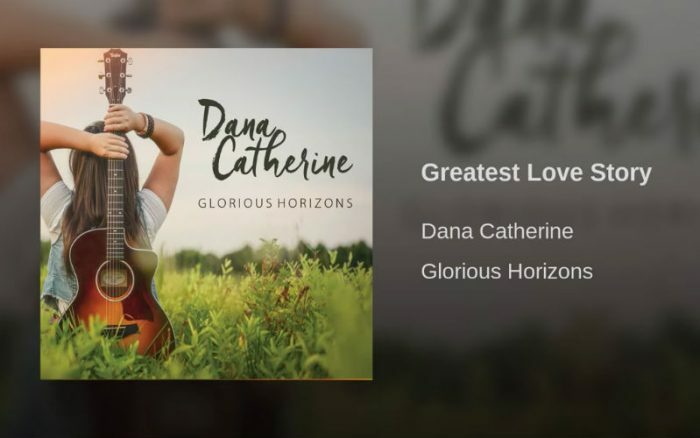 Dana Catherine emerged this year with her debut album Glorious Horizons. 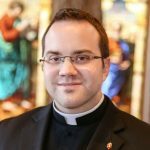 I happened to catch an interview Dana did with Jennifer Fulwiler on Sirius XM’s Catholic Channel. What impressed me most about Dana’s interview was the depth of her spirituality which she conveyed and comes alive in all her music. One song quickly became my favorite: The Greatest Love Story. Dana tells us that the greatest love story ever told “started with a girl who brought him to the world and in a manger laid, the one who came to save.” Jesus’ birth in Bethlehem is the greatest love story, because it God who is love, comes to dwell among us and die on the cross for our salvation. His birth makes us strong, when we struggle, we can place our trust in God. This advent learn the Greatest Love Story ever told and allow that story to change your life and help you write your own story. A friend of mine introduced me to the band The Thirsting several years ago and more specifically to their album Companions of the Lamb. Based out of Oregon, their music focuses on topics of faith including confession, the Eucharist, the Trinity, and Mary. One song has a specific Marian focus, Come Hold my Son. This song highlights key moments in the life of Jesus and Mary’s participation in those mysteries. For me, the song evokes imaginative prayer and led me to realize some new insights into Marian meditation. Most striking in the song is Mary’s invitation for people to come and hold her son. This Advent season you are being invited to the manger in Bethlehem. Will you go and hold the Christ child? Spend some time in imaginative prayer. Allow Mary to entrust the Christ child to your arms as you behold the Son of God and Son of Mary. Followers of Danielle Rose have their favorite songs; for me, it is See You in the Eucharis. Danielle has had many amazing experiences in her life from volunteering with Mother Teresa’s order in India to spending two years discerning her vocation in the convent, and now as a wife and mother. One of her albums is Mysteries, containing twenty songs corresponding to the twenty rosary mysteries. The rosary is an excellent way for us to prepare for Christmas, especially by praying the Joyful Mysteries. Allow Danielle Rose to lead you through music into the depths of the Annunciation, Visitation, and Nativity. Artist Marian Grace offers a rhythmic song Behold the Mystery on her album Ancient Hymns and Chants. The song emphasizes the Eucharistic mystery by beholding and adoring the Lord. In view of Christmas, many people came to behold the mystery in Bethlehem in the scriptures—magi, shepherds, and the unknown people not mentioned in the sacred pages. In our churches, many people will come to adore Jesus on Christmas day. Let us pray for one another, that we might all behold the mystery on Christmas morning. Who would you add to this list? Let us know in the comments!